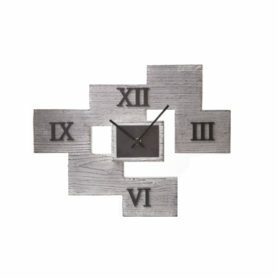 Half Time is acuckoo wall clock featuring a modern and essential style. Diamantini & Domeniconi is specialized in classical Made in Italy clocks. Zuba is cuckoo pendulum wall mounted clock disegned for Diamantini e Domeniconi. 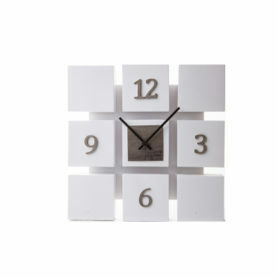 The company is specialised in the creation of classic style Made in Italy clocks. Mignon by Diamantini & Domeniconi is a design furniture item in laser cut metal and finished in white lacquer. Diamantini & Domeniconi is a company specialized in creating furniture clocks, and it is a reference in the Made in Italy design scene. 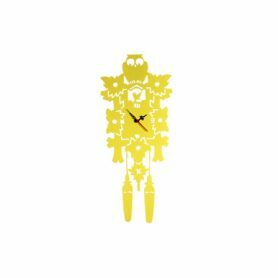 Arcoiris is a cuckoo clock which in Portoguese means rainbow, an unusual and playful design object which blends in with any living area of your home. Diamantini & Domeniconi is a leading brand which combines classical craftsmanship and Made in Italy design.